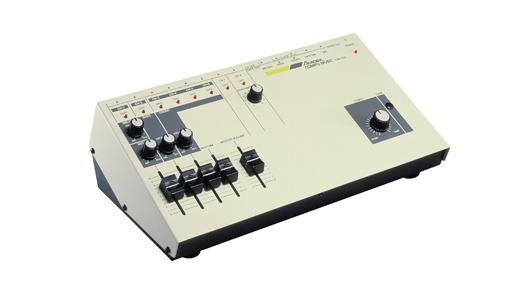 AMDEK Corporation was established in Osaka as a subsidiary of the Roland Corporation with the goal of expanding further upon a wealth of electronic music technology, beginning with the manufacture of electronic music instrument kits. Released the CMU-800 Computer Music, which allowed the user to compose and automatically perform music using a computer. Released the DXY-100 pen plotter, which could be connected to a computer to produce architectural drawings and schematics. Established a factory in Takaoka-cho, Hamamatsu, Shizuoka. Changed the corporate name to Roland DG Corporation (DG stands for Digital Group). Released the DXY-800 A3-size pen plotter. Established a subsidiary in Belgium. Moved the company headquarters to Takaoka-cho, Hamamatsu. 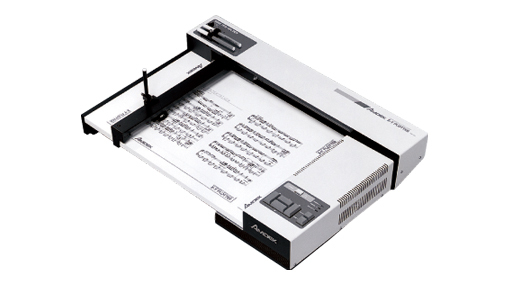 Released the DPX-2000 A2-size pen plotter. 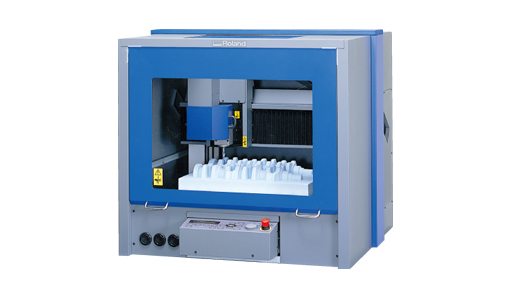 Released the first of the CAMM-3 series of 3D milling machines, the PNC-3000. 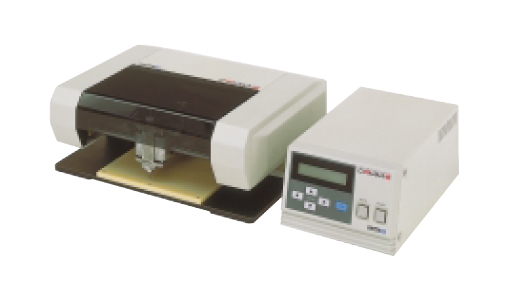 Released the DPX-3300/2200 A1/A2-size flatbed pen plotters. 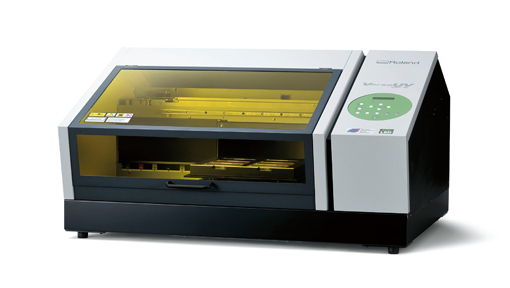 Released the first of the CAMM-2 series of engraving machines, the PNC-2000. Moved the company headquarters to a new office in Okubo-cho, Hamamatsu. 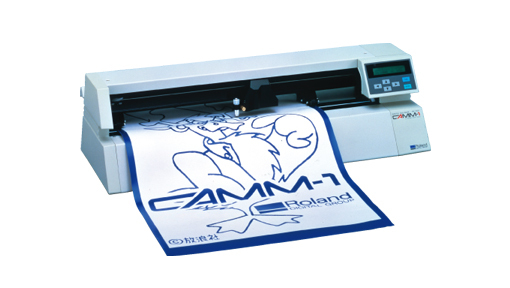 Released the first of the CAMM-1 series of cutting plotters, the PNC-1000. Established a subsidiary in Australia. Established a subsidiary in the U.S.A. Released the Sketchmate RP-11P, an A4 size pen plotter aimed at the hobby market. Released the STIKA SCP-85, a combination of hand scanner and cutting plotter. Established a factory in Shin Miyakoda, Hamamatsu. Shifted market focus from CAD to signage. Released the Color CAMM PNC-5000, the world’s first thermal transfer technology color printer/cutter. Released the STIKA STX-7 compact cutting plotter and MODELA MDX-3 3D milling machine, targeting the hobby and crafts markets. 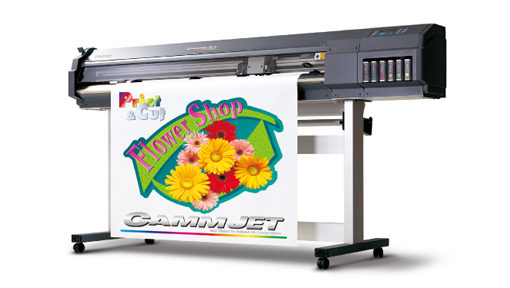 Released the CAMMJET CJ-70, the world’s first wide-format inkjet printer/cutter, capable of printing water-based pigment ink. Released the PICZA PIX-3 compact 3D scanner for the hobby and crafts markets. Shifted from line production to cell production system. Moved the company headquarters to Shin-Miyakoda, Hamamatsu. 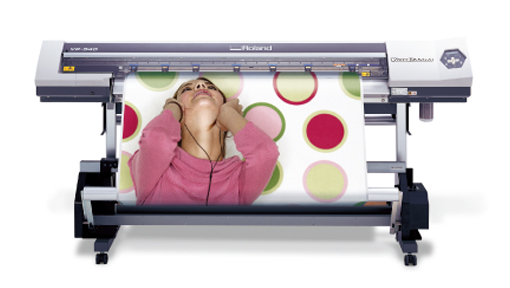 Released the world’s first 6-color, 1440-dpi wide-format inkjet printer, the Hi-Fi JET FJ-50. Focused our business on Color and 3D solutions. Introduced the Digital Factory concept. Hi-Fi JET FJ-50/40 becomes first wide-format inkjet printer to receive the TOYO INK Standard Color certification. Commenced production with Digital YATAI (digitized cell production system). Released the MODELA Pro MDX-500 professional 3D milling machine. Listed on the Tokyo Stock Exchange Second Section. 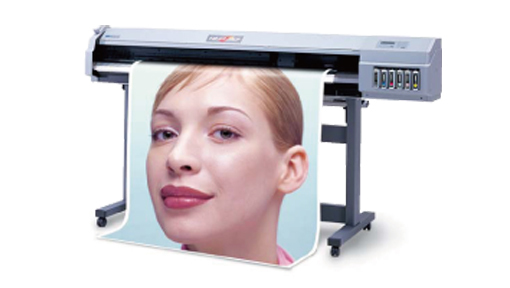 Released the METAZA MPX-50, a photo impact printer capable of transferring photographs and illustrations onto metal and acrylic. Hi-Fi JET PRO FJ-500/400 receives the DIC Standard Color certification. Released the LPX-250 3D laser scanner. Released the SOLJET SC-500 inkjet printer/cutter, capable of printing solvent ink (SOL INK). 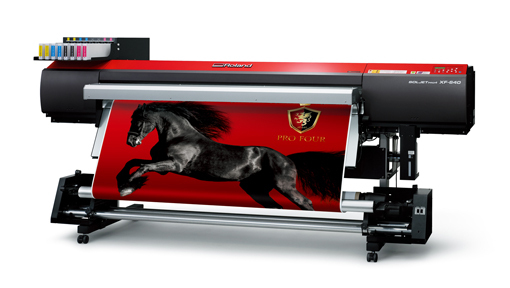 Released the EGX-300, a multi-purpose desktop-size engraving machine. Established a subsidiary in the U.K. Listed on the Tokyo Stock Exchange First Section. Released the VersaCAMM SP-300, an inkjet printer/cutter designed to enhance on-demand production of small jobs. Introduced the DVE business concept. 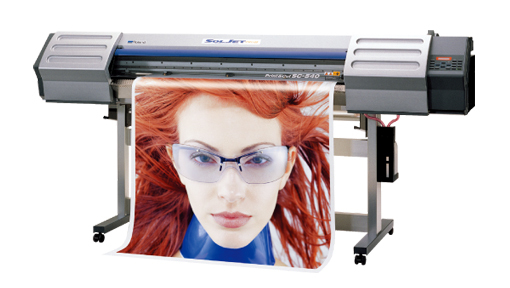 Released the SOLJET SJ-1000EX grand format inkjet printer, capable of 2,600mm print width. Launched the Roland@Net service to provide software upgrades via the Internet. Released the new Roland VersaWorks RIP software. Established a subsidiary in Spain. Established a new Miyakoda factory. Released the JWX-10 jewelry wax modeling machine. Opened a branch office in Germany. Founded Roland DG Academy in Japan. Released the new eco-solvent ink ECO-SOL MAX that is both user and eco-friendly. Established a subsidiary in Italy. Released the Hi-Fi EXPRESS FP-740 dye-sublimation inkjet printer. Implemented IMS (Integrated Management System), incorporating ISO 9001 and ISO 14001. 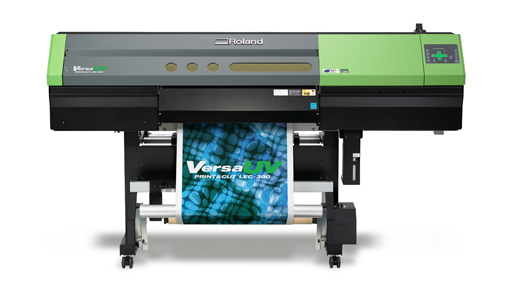 Released the VersaCAMM VP series inkjet printer/cutter, capable of in-house production of promotional materials. Developed the Roland Intelligent Pass Control, which delivers smooth gradations and flawless solid colors. Developed the Roland Color System Library, which optimizes color fidelity. 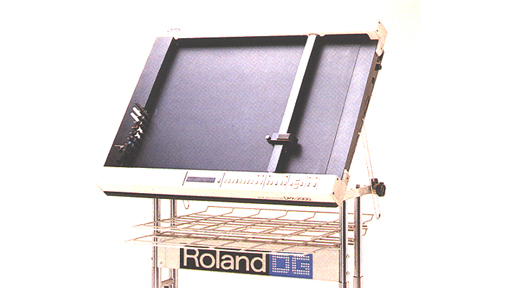 Founded Roland DG Creative Center in Japan. Released the VersaUV LEC-300, UV-LED inkjet printer/cutter, capable of multi-layered printing on a wide variety of substrates. Released the new SRP PlayerPro 3D CAM software. Established a subsidiary in Denmark. Launched "Imagine. Roland DG" global branding campaign. 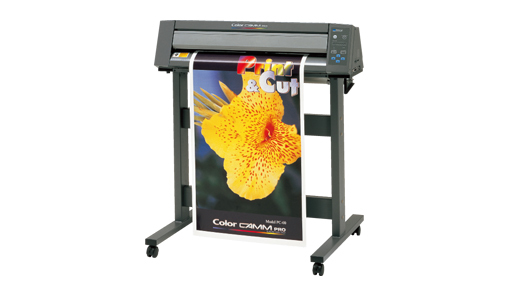 The total number of wide-format color inkjet printers shipped exceeded 100,000. 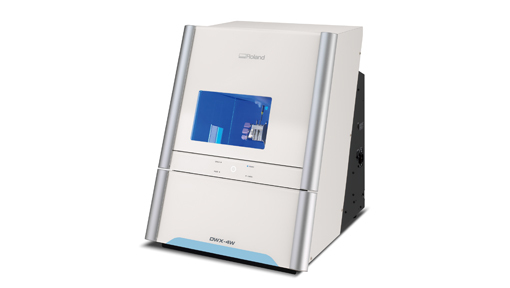 Released the first of the DWX series of dental milling machines, the DWX-30. Released the VersaSTUDIO BN-20, the world’s first desktop-size inkjet printer/cutter, capable of printing metallic silver ink. 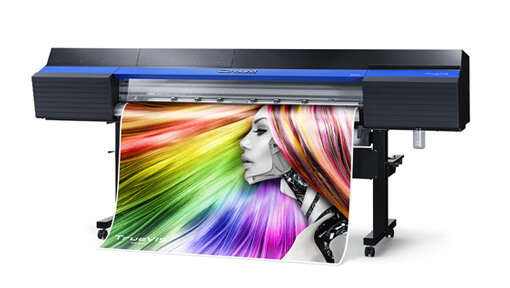 Released the VersaUV LEJ-640, hybrid UV-LED inkjet printer, capable of printing on a wide variety of flexible roll media and rigid substrates. 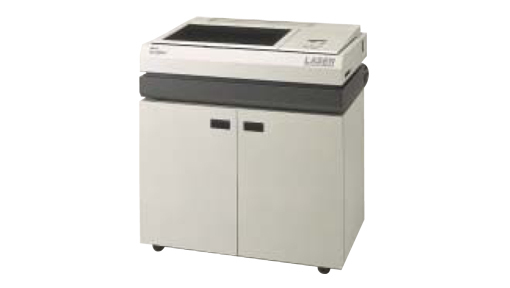 Released the VersaUV LEF-12, desktop-size UV-LED inkjet printer. Established the first foreign manufacturing subsidiary in Thailand. 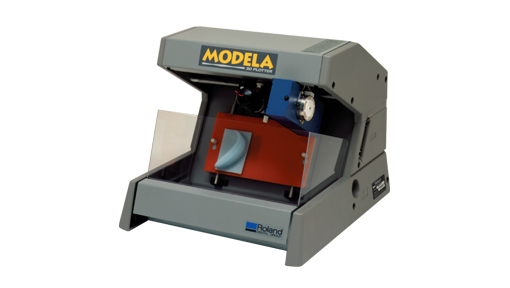 Released the iModela iM-01 digital hobby mill. 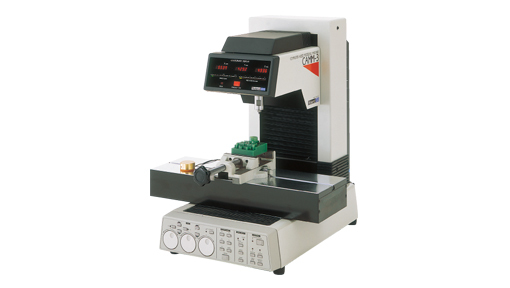 Released the METAZA MPX-90M, direct part marking device for the medical industry. Established a subsidiary in China. Established a subsidiary in Korea. Established a shared services subsidiary in Spain. Held a Creative Awards contest recognizing the creativity of Roland DG users worldwide. Released the VersaArt RA-640, aqueos inkjet printer, targeting emerging markets. Released the SOLJET PRO 4 XR-640, inkjet printer/cutter, featuring an advanced eight-channel print head and new ECO-SOL MAX 2 inks. Implemented the GlobalOne structural reform initiative. Formed a subsidiary in Brazil. 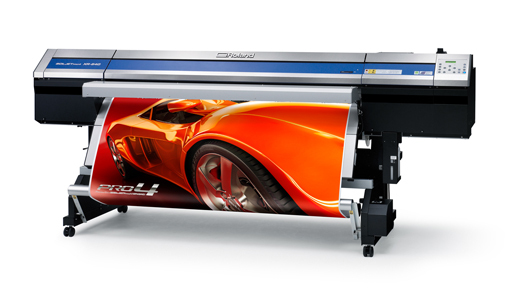 Released the SOLJET PRO 4 XF-640, the company’s fastest inkjet printer to date. Held the first-ever SE Awards of the World contest. Established a subsidiary in the Netherlands, a holding company providing fund management of group companies in Europe. Formed a subsidiary in Russia. 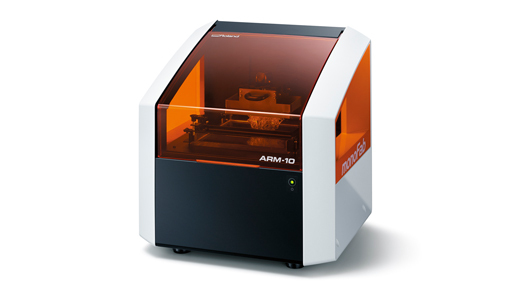 Released the monoFab series, the company's first 3D printer, the ARM-10, and a new milling machine, the SRM-20. 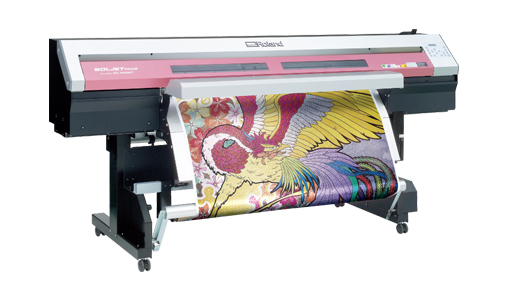 Released the Texart RT-640, dye sublimation transfer printer for exclusive use in textile printing. Launched medical instrument traceability and maintenance support system project run in conjunction with Hamamatsu University School of Medicine. 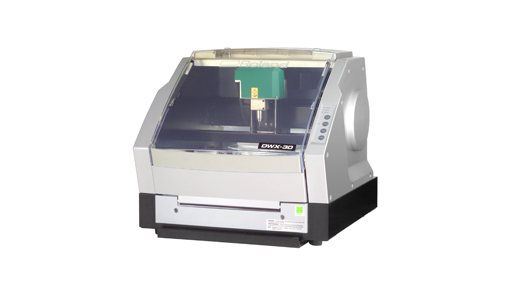 Released the company’s first wet mill, the DWX-4W and a new dry mill, the DWX-51D. 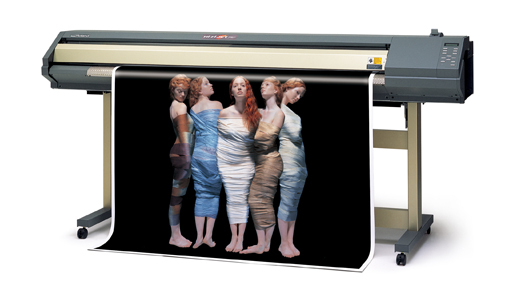 Released the Texart XT-640, dye sublimation transfer printer for exclusive use in textile printing. Released the TrueVIS VG-640/540, SG-540/300 equipped with newly developed Roland DG FlexFire print head and new TrueVIS INK. 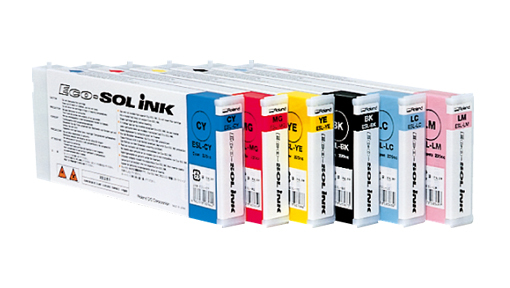 Released the Fluorescent Pink and Yellow inks formulated for the Texart line. Transferred the 3D business to a newly-established subsidiary, DGSHAPE Corporation. DGSHAPE started operation focusing on the dental, medical and 3D digital fabrication businesses. 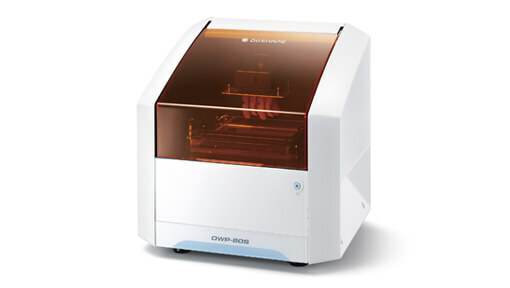 DGSHAPE released the DWP-80S its first dental 3D printer, and the DWX-52DC simultaneously as the first products under DGSHAPE brand. 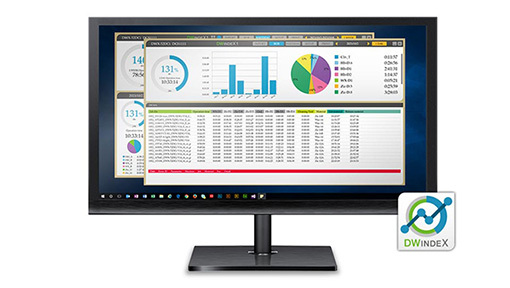 DGSHAPE released the DWX-52DCi with DWINDEX performance visualization software to help dental labs run a more productive and efficient business. DGSHAPE released the LD-80, the world's first laser foil decorator. Released cotodesign design and print management software for customizing store merchandise on demand using customers' favorite designs and photos.